With a busy lifestyle, commitments at work and frequent take-outs, it’s easy to forget how simple it is to take control of your kitchen. The average American spends about 37 minutes in the kitchen for food preparation and cleanup. If you find yourself in the same spot and you’ve always wondered how you can save time on cooking, you’ve come to the right place! Last week, we covered cooking essentials that are a must have if you’re setting up your kitchen or just looking to upgrade your cooking tools. This week, we look at cooking tools that will help you save time and improve your cooking productivity. Comfify Over the Sink Collapsible Colander is a versatile colander that comes loaded with a bunch of features. Say goodbye to scalding and burns. 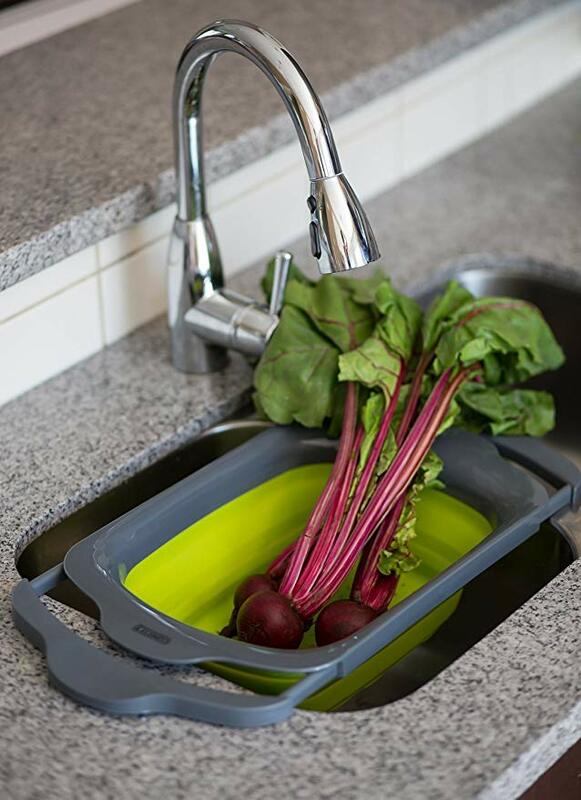 The expandable handles on the colander are wide enough to fit on any sink! What we like: Collapsible handles, dishwasher friendly and space saving design. Here’s your way to the perfect emulsification! Whip a variety of your favorite recipes with the AmazonBasics 3-Piece Wire Whisk Set. An essential for every kitchen, whip everything from eggs to cream and cake batter with ease. What we like: Offered as a 3 piece set, sturdy and comfortable. Love grating cheese for your recipes? Don’t stop there! 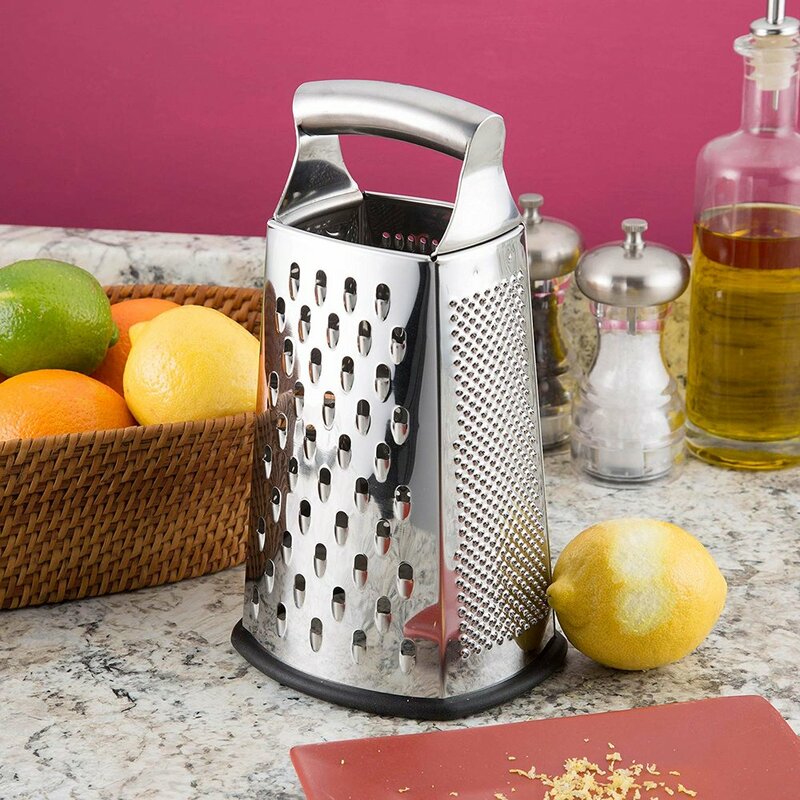 Get the Spring Chef’s 4-Sided Stainless Steel Box Grater for all your grating needs. With four unique grates, grate everything from cheese to zucchini with your desired style of grating. The best part? It’s simple and it lasts forever! What we like: Removable rubber bottom, super sturdy and sharp blades. If you don’t have a solid pair of tongs, you’ve probably burned your fingers in the past! Hot Target’s Stainless Steel Silicone 3-Piece Kitchen Tongs is probably the only set of tongs you will ever need in your kitchen. Offered in a handy set of 3 pieces, from cooking, grilling to serving; these pair of tongs have you covered! What we like: Pull-ring technology to lock/unlock tong clasps, nonstick and heat resistant up to 480F. Speed up your prepping time with the OXO Good Grips Swivel Peeler with its unique twin swiveling blades. Glide through the toughest fruit and vegetable skins without wasting the fruit or vegetable. You won’t go back to an ordinary peeler after using this! What we like: Non-slip handle and ergonomic, includes a serrated peeler and a swivel peeler. At Chefling, we’re committed to helping you build the best version of your kitchen! Good tools can make the kitchen experience much easier and enjoyable, it’s all about picking what works best for you. Stay tuned for the next edition as we explore cookwares in detail! Newer PostShop Online – Now Shop Directly from Chefling! Older PostNational Rum Day 2018!